What’s the difference between term and whole life? What happens after the 10 year term is over? If you’re like most people, you pound out the same answer on your keyboard that you’ve answered a hundred times before. What Does it Do & How It Saves You Money? Phrase Express is a “text expander” that can save you countless hours of typing every week. In this post, I’ll reveal exactly how insurance agents can use this tool, and be sure to stick with me, because at the end of the post, I’ll be giving away an awesome bonus. If I want to answer the question, “What’s the difference between term and whole life?”, I don’t type an answer. Term is typically the most affordable type of life insurance policy with level premiums for an initial period such as 10, 20 or 30 years. Most term policies may be converted to a type of permanent insurance such as whole life or universal life. Term is generally used to cover a short term insurance need (10-30 years) rather than lifetime. Whole life, on the other hand, is a policy designed to offer lifetime protection, with fixed premiums and guaranteed cash value accumulation. This type of insurance typically costs more than any other type, but offers the most benefits. Approximately 90% of our clients buy term coverage. For more information, see our article on term insurance here. That’s 116 words (579 characters) for a pretty basic term vs. whole life explanation. I can type it. Based on multiple typing speed tests, I’ve learned I average 50 to 60 words per minute. So it would take me at a minimum, 2 minutes to type this answer, but probably longer, as I’d have to think about it as I type it, plus the time it would take to find the URL of my term article and add the hyperlink. Use a template answer which, if I could quickly find somewhere on my computer, I could copy and paste into my email program. The truth is before Phrase Express, I did have pre-written answers for many FAQ’s, but I was never able to keep them organized or quickly locate them. Who wants to stop what you’re doing, locate your templates, find the right one, then copy and paste it? It’s just too many steps, so I’d end up answering using method #1 anyway. Phrase Express takes literally one second. Or how would you like to answer these questions in just a few strokes of your keypad? What is the process to apply for coverage? What’s the right type of policy for me? I have shortcodes for all these. You know when you copy something and by the time you go to paste it, you’ve already copied something else? Argh! That won’t happen with Phrase Express because you easily can pull up your last 16 things you copied and drag them into the place you want, like I show you in this video. How Much Does Phrase Express Cost? $49.95 for the Standard Version – this one doesn’t have a couple really cool features like the floating menu. It still gives you access to the most text expansion feature, though, which is most important. 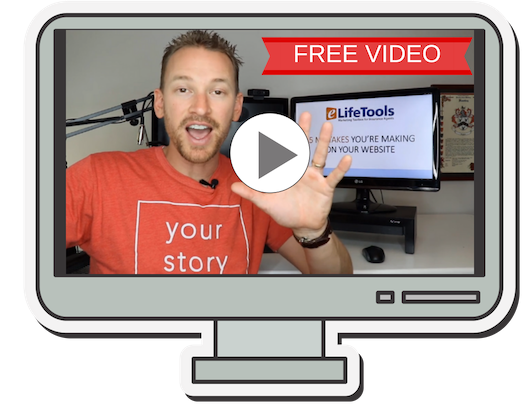 Free Version – there’s also a free version, but you can’t use it for commercial use. They are monitoring what you use it for and will catch you and force you to upgrade. 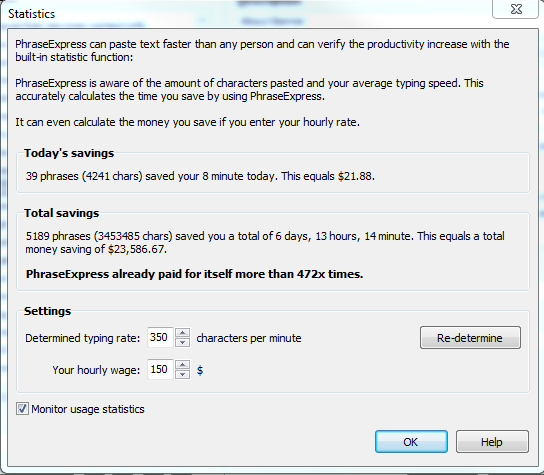 Phrase Express sits in the background and determines your average typing speed, and how much it saves you based on your hourly wage, which I have set at $150. Yeah, you got to love it when it says it’s paid for itself 472X. Explaining Backdating – oh, I hate that one. Giving underwriting updates – for example, I have a shortcode I use to notify the client when the carrier has ordered medical records, and I know it will be a few more weeks for an approval. Getting health information – 1. what is your dob 2. do you take any meds… etc. etc. etc. Seriously, I’m feeling really guilty right now for all the people who don’t have this. If Pro Phrase Express did nothing but let me use the shortcuts above, it would be worth it. Imagine how many times you’ve written your name, email, and website address when signing up for a new web account, leaving a blog comment. I’m telling you I love this thing! Fixes contractions – no need for apostrophes anymore. Dont becomes don’t. Hotkeys to Open Files – You can also set a shortcut code to open up programs like Outlook or Internet Explorer. This can come in handy when you have a bunch of windows open that are covering your desktop icons. (don’t you hate having to minimize everything to open up the program you want?) You can also assign a shortcut to specific files. I don’t personally use it very often to open up programs (I should), but I do use it to open some commonly used Word and Excel files. Plus, there are extensive training videos on their site. You can literally take 15 minutes to look them over and you’ll be a pro. Is it compatible with Macs? It’s a Windows program, but I understand it’s compatible with Text Expander for Mac which you can read about here and here’s a tutorial video on YouTube. What I plan to do is send you to a page on my site where you can download all my best shortcuts to get you started with your version of Phrase Express. As you can see Phrase Express is worth (in my case) over 400x its cost, so it’s worth it without the bonus, but this will get you saving time and money asap. Sign up and I’ll send you the bonus as soon as it’s ready. Now it’s your turn. What is your favorite productivity tool? Leave your answer in the comments below.